The January 2013 issue of Scientific American features an article sharing a science teacher’s perspective. The January 2013 issue of Scientific American features an article sharing a science teacher’s perspective on his visit to the Answers in Genesis Creation Museum in Petersburg, Kentucky (near Cincinnati, Ohio). Despite the common claim that scientists objectively evaluate their observations, this teacher’s predetermined decision to reject and mock all he saw is clear from the beginning. Opening up with a mock plea for mutual tolerance, the article’s subtitle is “A science teacher asks if scientists and biblical literalists can get along.” From the first, this schoolteacher announces that he refuses to admit that a genuine scientist can be a Bible-believer. Perhaps the teacher is unaware of the history that shows some of the greatest scientists of all time have believed the Bible. Sir Isaac Newton, for instance, believed that God had created an orderly universe in which the laws of motion he had discovered would operate in space as they did on earth. For its part, Answers in Genesis, which operates the Creation Museum, has several full-time staff who hold earned doctorates who speak at the museum. Scientists draw conclusions based on observations and controlled testing. This teacher already had his conclusions about the Creation Museum established before he arrived and apparently searched for fodder he could spin to support his predetermined opinion. One major difference between secular scientists and Bible-believing scientists is that, when drawing conclusions about the origins of life and of the earth, secular scientists tend to ignore the fact that events surrounding our origins are not available for controlled scientific testing. One major difference between secular scientists and Bible-believing scientists is that, when drawing conclusions about the origins of life and of the earth, secular scientists tend to ignore the fact that events surrounding our origins are not available for controlled scientific testing. After all, a planet full of life is already here. We cannot know what the original conditions of its origins were without an eyewitness account to confirm our suspicions. 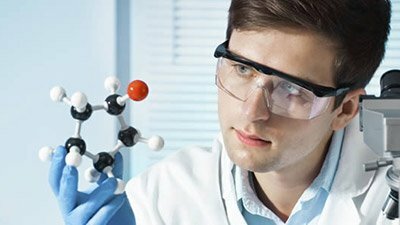 Bible-believing scientists accept God’s eyewitness account, whereas secular scientists accept practically any alternative to avoid accepting God’s Word, yet they do so without the capacity to confirm their worldview-based beliefs. 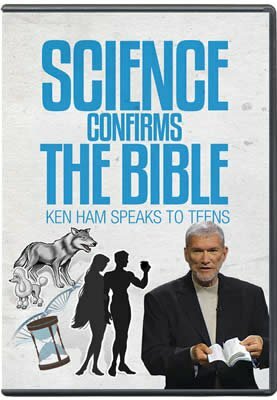 The teacher writes, “A literal interpretation of Genesis cannot be reconciled with modern science.” He gives many examples of technological advances we all enjoy and says that people who use those scientific fruits do so while rejecting the science that underlies them. Yet he, like Bill Nye and so many others, is confusing modern experimental science with historical origins science. 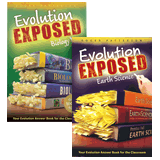 The teacher claims, “Creationists begin with answers and work to prove that those answers are right,” adding, “This is antithetical to the scientific process.” The teacher must not read much of the scientific literature written by secular evolutionary scientists! Their papers typically begin with the assumption that molecules-to-man evolution occurred. These papers present such evolutionary processes as self-evident facts, not on the basis of scientific support or controlled testing but simply on the basis of the fact we exist. Evolutionary scientists, those who produce the material this teacher embraces, simply assume that if we exist, we must have evolved. The emergence of life from non-life though random natural processes has never been observed. The random acquisition of genetic information to produce new functions and more complex kinds of organisms has never been observed. The transformation of one kind of organism into a different kind of more complex organism has never been observed. Yet evolutionary scientists, those who produce the material this teacher embraces, simply assume that if we exist, we must have evolved. While evolutionary scientific research papers spend a lot of ink trying to explain how evolution occurred, they never question whether it occurred. The science teacher says, “40 percent of the American electorate seems to have forgotten what science is.” We must ask however whether this teacher understands the nature of experimental science and its applications. Can he not see the difference between controlled scientific testing and worldview-based assumptions? Evidently not. Unfortunately, it is likely his students will also fail to learn this critical thinking skill. Will they, like their teacher, accept with undiscerning eyes whatever “authoritative” humanistic sources tell them without understanding the fallible unverifiable foundation on which evolutionary beliefs are based? Analysis of another recent anti-creationist Scientific American piece (posted to the magazine’s blog) can be found below.